Would you like to get a quick four-legged friend, not a dog? Would you like to see a very beautiful and spectacular friend? 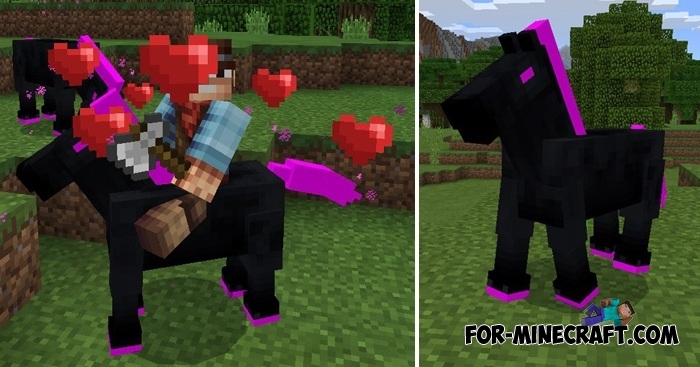 Then the Ender Horse will give you what you want. 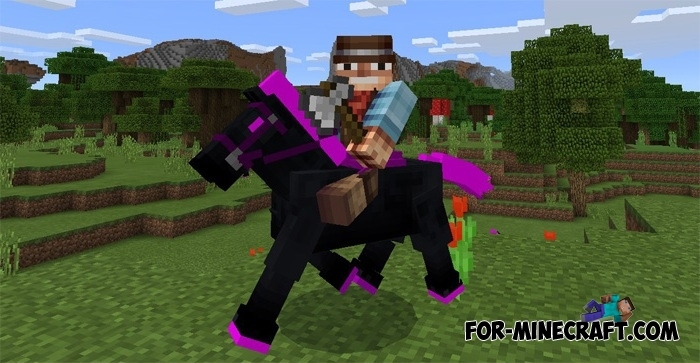 The Ender horse has a rather specific feature - it can teleport itself along with you to any place. Additionally, the new horse has more health points than normal equine. And of course, take a look at its appearance, it is very cool. How to tame the horse? Don't need to use food or any other thing. Just sit on it and put a saddle (select a saddle in your inventory). After that you will see floating hearts, and then the horse belongs to you. 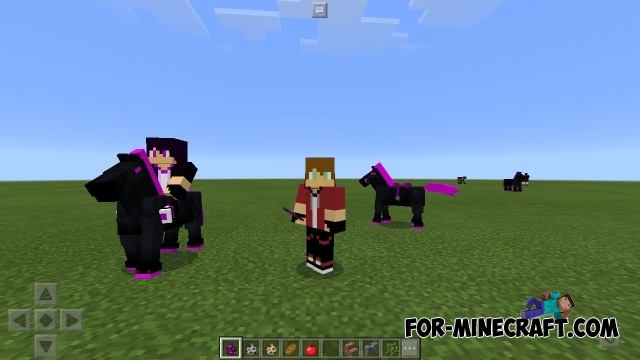 This is the first version of Ender Horse for Minecraft PE, so you can only use a spawn egg (for zombie horse), but the horse will spawn without any action in future versions. How to heal your horse? 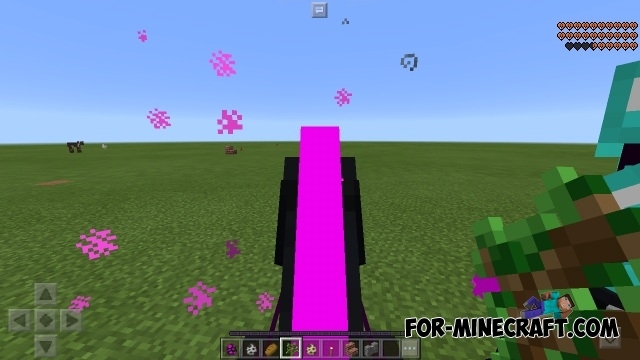 To replenish the health of your stallion, throw a harm potion directly at it. Strange as it may sound, but this is the only way to treat this creature. 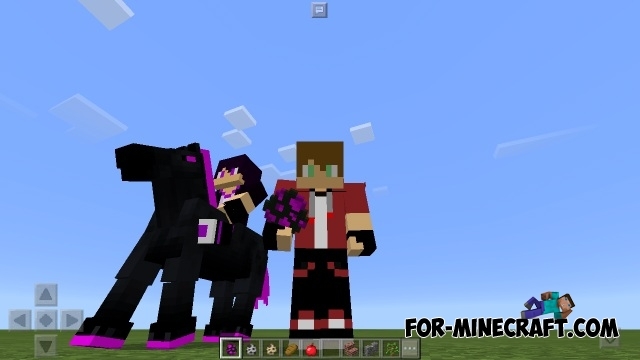 How to install the Ender Horse Mod? Download the archive from the link below and extract all files. Open both files one by one using MCPE (behavior / resource pack).